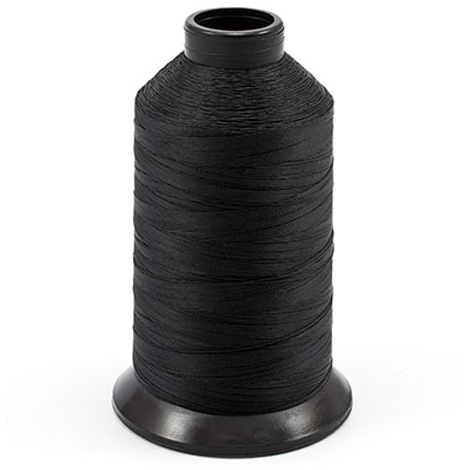 Polymatic sewing thread by Coats North America is a 100% polyester thread that encompasses sewability, strength, reliability of performance and cost effectiveness. All Polymatic threads are UV and mildew resistant and have the added protection of a NANO® finish to extend the life of the thread. Polymatic® is a Registered Trademark of Coats, N.A. Polymatic sewing thread by Coats North America is a 100% polyester thread that encompasses sewability, strength, reliability of performance and cost effectiveness. All Polymatic threads are UV and mildew resistant and have the added protection of a NANO® finish to extend the life of the thread. Polymatic threads are perfect for all marine applications. Polymatic threads are made from selected high tenacity, heat resistant continuous multifilament yarns encapsulated to form a monocord thread.